Welcome to the second installment of Monday Covers. What are Monday Covers, you ask? 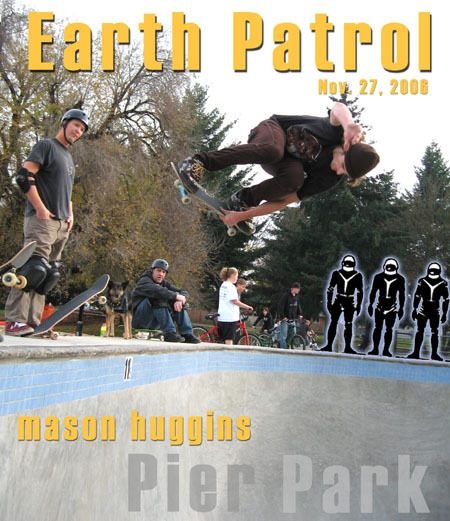 Well it’s Earth Patrols version of a weekly magazine cover only in blog form. This weeks cover goes to Mason Huggins. Once again, we tap into the Skrote community for some stylin’ moves at Pier Park. Actually, the entire week here on Earth Patrol will be devoted to the concept of Skrotes. So what is a Skrote? Is that somewhere in the proximity of chode? Whatever it is, these dudes shred and that’s all that matters.